Linear Tape-Open LTO, the LTO logo, Ultrium and the Ultrium logo are registered trademarks of Hewlett Packard Enterprise, International Business Machines Corporation and Quantum Corporation in the US and other countries. Capacity and data rate assumes 2.5:1 data compression. © 1999 - 2018 Hewlett Packard Enterprise, International Business Machines Corporation and Quantum Corporation. 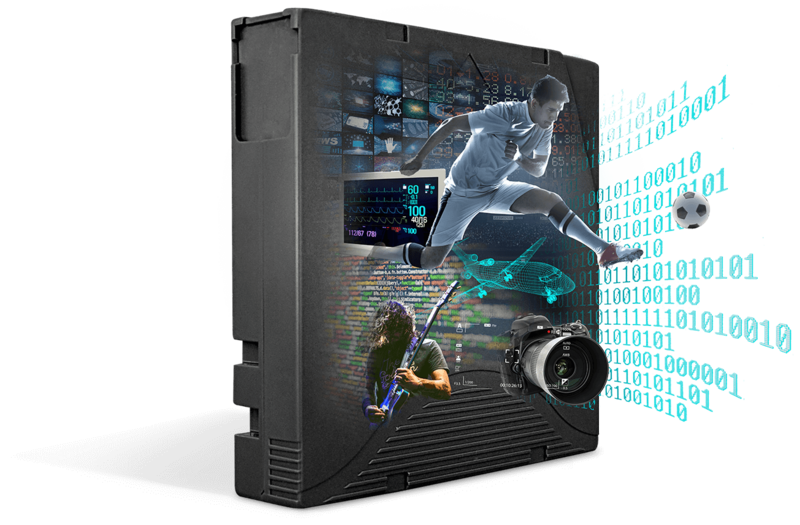 With double the storage, high-speed transfer rates, and LTFS easily accessing critical media files, your team can store more and do more than ever before. LTO-8 technology also offers effortless air-gap protection to help data remain virus and ransomware free. I agree to sign-up to get up-to-date information about The LTO Program. You can unsubscribe from this list at any time. Linear Tape Open (LTO) Ultrium is a high-capacity, single-reel tape storage solution developed and continually enhanced by Hewlett Packard Enterprise, IBM and Quantum and promoted by the LTO Program. It’s a powerful, scalable and adaptable tape format that helps address the growing demands of data protection. It’s also an open format, licensed by some of the most prominent names in the storage industry to ensure a broad range of compatible tape drives and cartridges. First introduced in 2000, LTO technology is currently in its 8th generation and features capacity of up to 30TB and up to 750 MB/sec transfer rate (assuming compression ratio of 2.5:1). New generations have been introduced regularly with higher capacity along with new features to further protect your data and content. Each generation is fully compatible with the previous generation, so you know that your investment is for the long run. The LTO Program is showcasing the latest in storage technology at some of the biggest industry events, to learn more visit lto.org.